Kids love parties and receiving all types of gifts, so why not have another excuse to treat your children at Easter. This holiday is not as commonly celebrated as Christmas but if you think about it it is Christianity’s most important holiday and it is important to teach children this tradition from a young age. 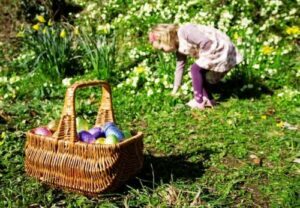 Even if you are not a religious family, Easter is usually associated with amazing activities that leave children very happy. Kids love to decorate eggs and then go on Easter egg hunts. We all know the most important part of Easter holiday are the gifts! Easter is not just about receiving, but about giving and sharing tradition with your family. There are always ways to get thoughtful Easter gifts for kids to inspire laughter in your families youngest ones. We have summarized the most appropriate and fun gifts you can give children on Easter Sunday. A wonderful customizable gift for kids that love lots of presents in one. Easter baskets usually include different kinds of candy, plush toys, arts and crafts items and lots of chocolate Easter eggs and bunnies. 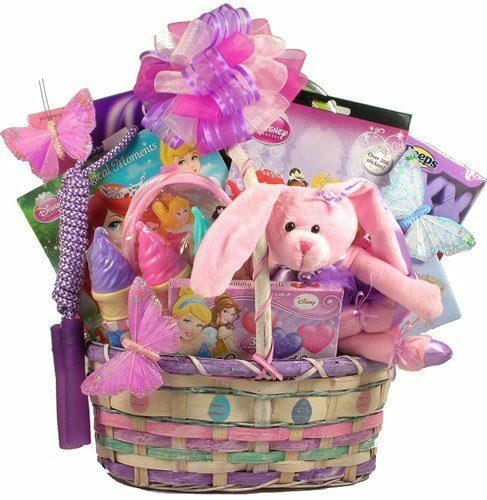 Easter basket could be a great gift for a 4 year old girl who loves playing with bright toys and loves receiving gifts. Many toy companies have started doing themed gift baskets with Minnie mouse, Barbie or any other most popular kids show character. Most widely recognized Easter symbol is a decorated egg and there are so many kid egg toys. Most Easter toys for kids consist of plastic egg shells that can be broken or split open to find a prize inside. 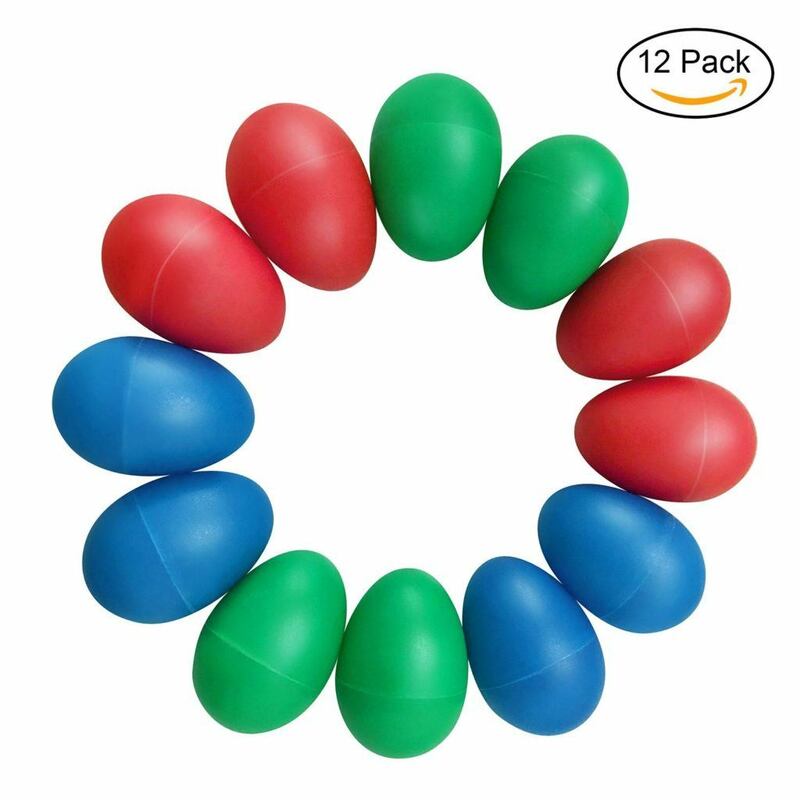 This simple toy concept has been around for so many years and kids love Easter egg toys that are made of chocolate and still contain a small toy once the shell is eaten. 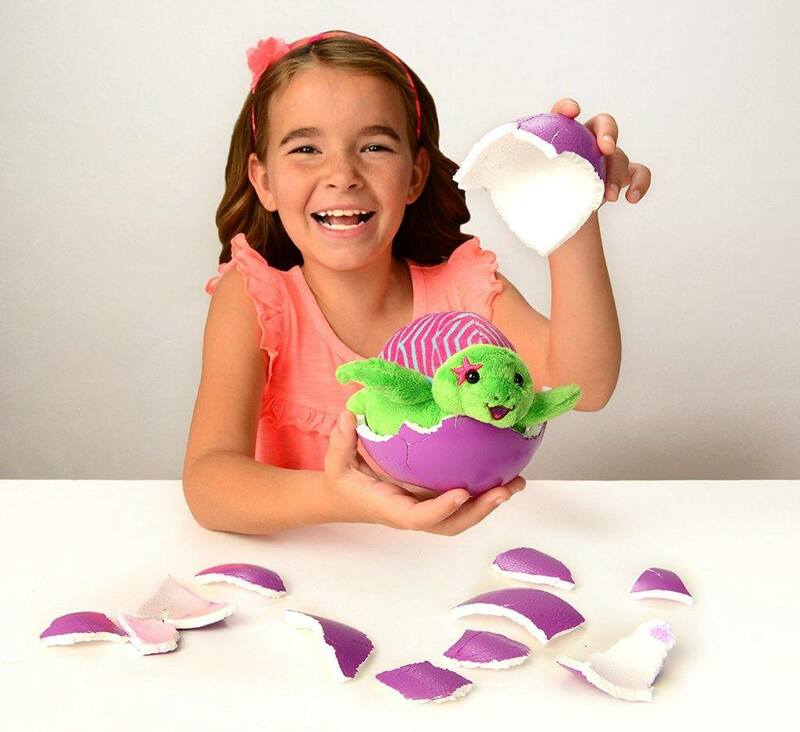 If you are looking to get an egg toy with a prize inside, make sure you get larger Easter egg toy for toddlers to eliminate choking hazards and kids 5 years old and above can enjoy smaller toys hidden in Easter eggs. Easter is all about play and family fun activities. It is important to have fun activities planned before the whole family shows up on Easter Sunday. 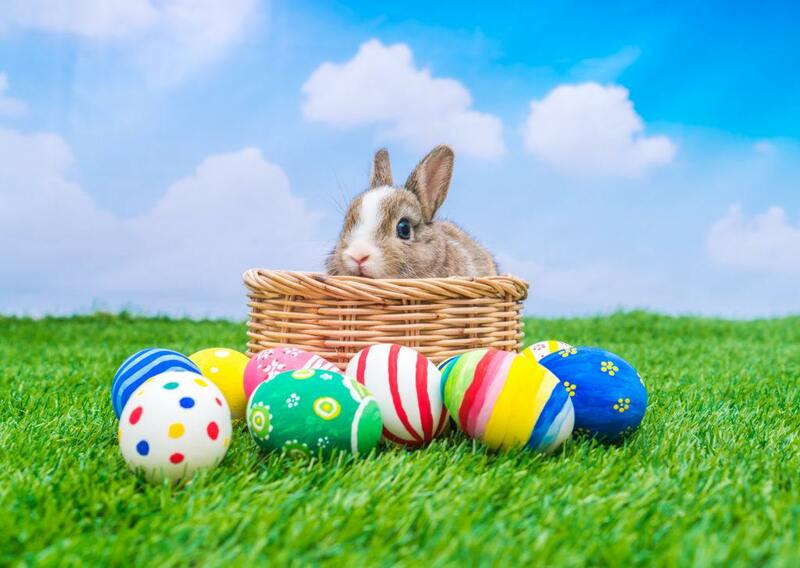 You might need to get some fun Easter baskets for the egg hunt, fun water guns to keep they boys happy and some colorful balls for outdoors activities for children. Don’t forget to get lots of egg dyes and children-friendly tools to decorate eggs. In order to celebrate Easter right you definitely need to honor the tradition and where it originated. If you are a religious Christian family, we recommend getting some decorations that represent this faith. It is important to show kids that Easter is not only about receiving lots of presents, looking for decorated eggs or stuffing your face with chocolate. You can slowly teach children about the religious aspect of Easter with fun Christian party favors which will make them ask questions about who this Jesus guy really was. 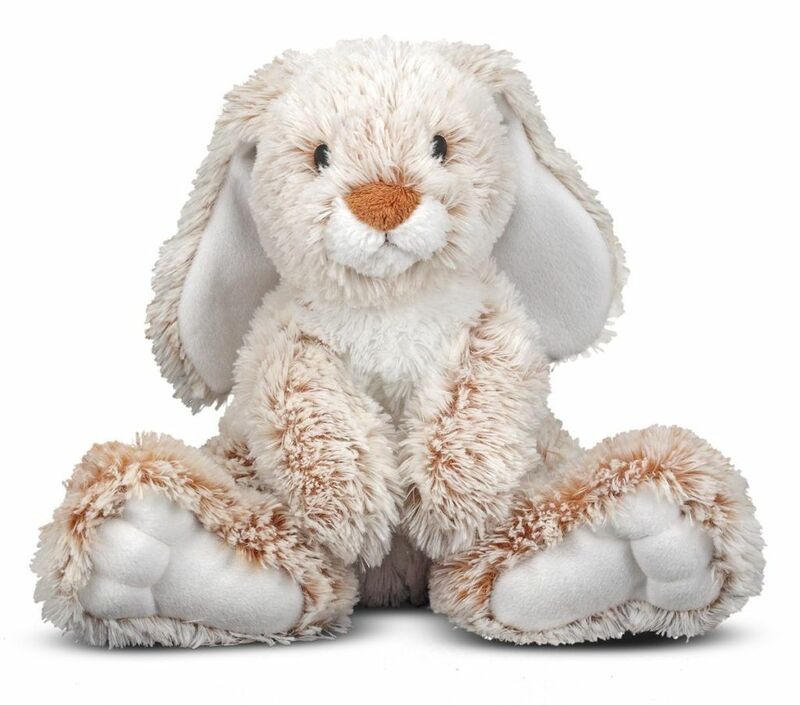 This silky and soft stuffed bunny is a wonderful gift to welcome a baby to their first family Easter party. Kids love this toy bunny rabbit as it impossible not to hug it! Kids love carrying this Easter bunny everywhere and it is shown to provide sensory reassurance and help relax at bedtime. This stuffed toy is perfect for 18 month olds to 3 year olds, but all ages are welcome to enjoy the cuddly bunny hugs. If you are looking for the first stuffed toy for your baby girl or boy this is really your best choice as the bunny’s fur is made to be easily cleaned with a damp cloth, so it will be ready for playtime every day! An adorable Easter toy egg set for children as young as 6 months old. 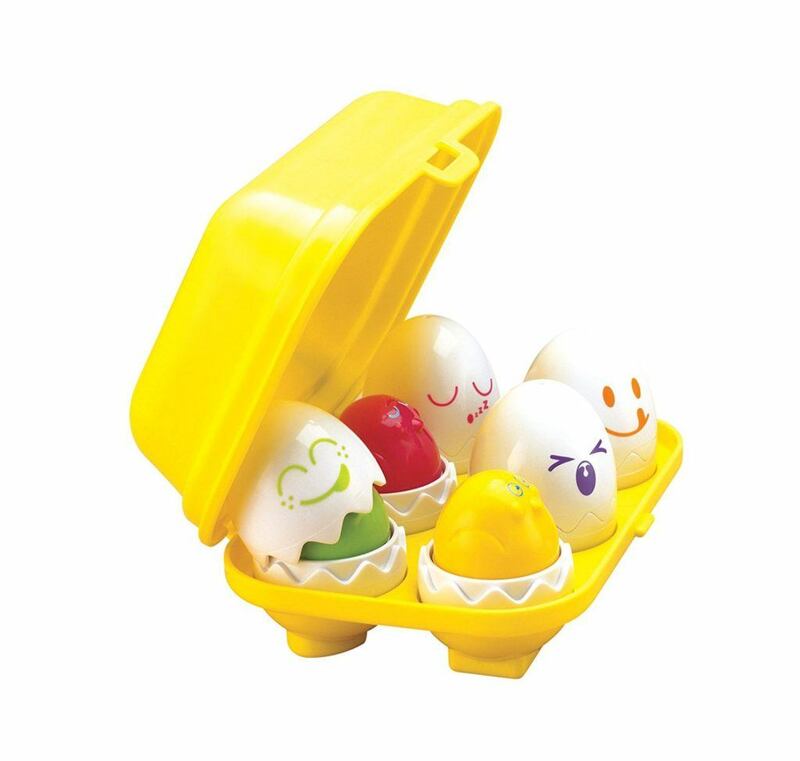 This toy egg box has 6 white eggs with different emotions and each of them have a specific place in the box. Once your little girl or boy sort the eggs into appropriate places, then they can crack each egg open to reveal colorful chicks inside. The chicks squeak if you press down gently on their head. A great gift choice for 1 year olds since it is easy to grip and does not contain any loose small parts. A fun way to incorporate this toy in the egg hunt is to place them in larger plastic eggs and scatter them around the room/garden for your happy baby to find and place into the container. Another great toy to encourage the development of toddlers problem solving skills and hand-eye coordination. This musical toy is an amazing alternative to real Easter eggs for toddlers. Made out of high quality nontoxic plastic, these eggs make sound when shaken – like maracas. Any 3 year old or older will love these lightweight and very durable musical toys for Easter. We encourage spreading these egg maracas for kids all over the living room or small garden and let your toddler go egg hunting. It will be the best reward to find a colorful egg that makes sounds! It is said that if you teach children music from a young age they will be more intelligent and will be able to learn better when they become pupils. 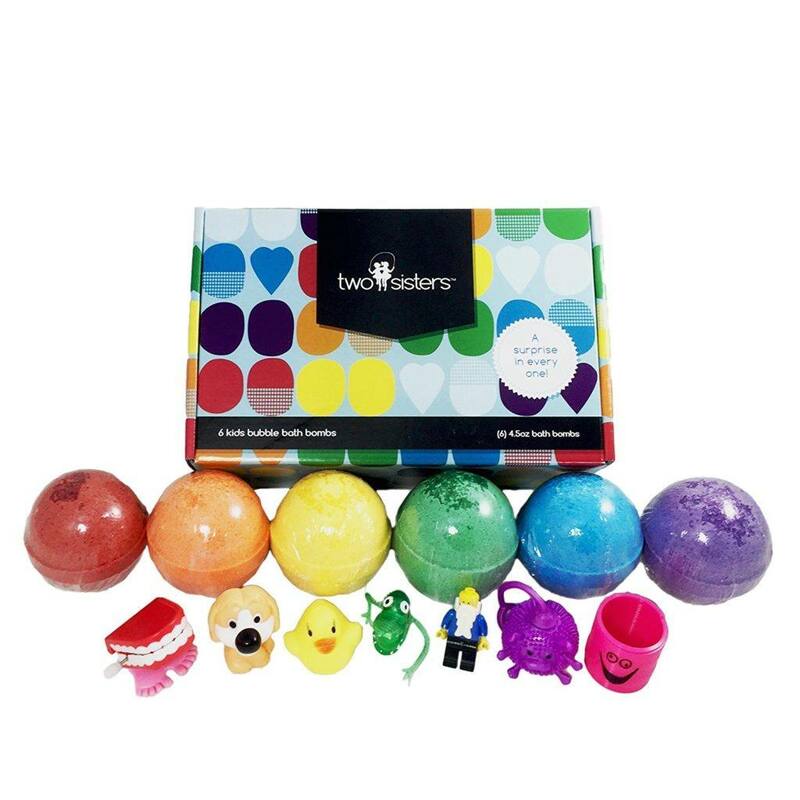 These egg shakers for kids is also a great learning toy to learn about the foundation of rhythm and creating music. Any child over the age of three years old will enjoy playing with this toy, in fact, it is also perfect for primary and secondary pupils who want to learn about music. Crack open the sturdy foam Easter egg to get a super soft plush toy. A great toy for 2 year old since it is a big colorful egg containing a cute stuffed toy. Comes in 6 choices of plush animals, but you don’t know which toy you will get! These huge toy eggs can be added to the egg hunt and used as grand price if kids find a certain amount of hidden eggs. Surprise eggs are a unique gift for a caring little girl that would love to cuddle up with a soft toy animal. Each surprise Easter toy will have a different personality and your little girl or boy will be happy with their cute plushy collection next Easter Sunday. If your little girl loves Minnie Mouse then this is a wonderful Minnie themed gift basket for her. This basket includes so many things that your daughter will enjoy for hours, from dress up, drawing, solving puzzle games to having delicious sweet treats. This Easter gift includes lots of girly accessories, which includes a lovely tin purse with a pink pearl-like handle that will go with all of your little princesses dresses! 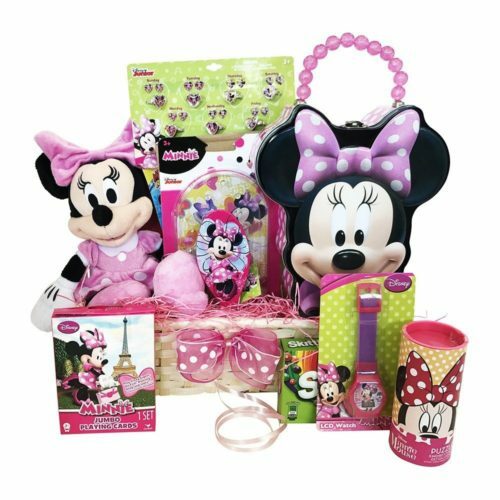 Other items that are included in the gift basket are Minnie Mouse plushy toy, watch, stick on earrings and rings, hair accessories, games, puzzles and a themed card game. We recommend this toy for a 4 year old girl that is interested in accessorizing and girly pink toys. Comes nicely gift wrapped and tied with a cute pink bow. A unique take on the classic Easter gift hamper designed for toddler boys. 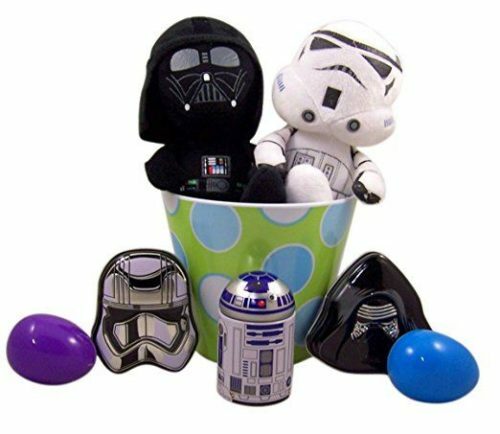 All the Easter goodies come in a festive bucket with Easter color which contains plush Darth Vader and Storm trooper, Star Wars ring pop suckers, candy containers shaped as R2D2 and Kylo Ren and colorful plastic Easter eggs filled with candy. If your son or grandson is quite fussy about toys but loves Star Wars, this is a perfect gift to surprise him with on Easter Morning. This Easer toy hamper is a great way to introduce your toddler to the Star Wars franchise if you are a big Star Wars fan and a parent. Also, a great excuse to get a unique and different Easter gift to treat your 4 year old. This big box of dinosaur eggs to bring your boy lots of joy on Easter day. These easter eggs hatch after being immersed into water and the dinosaurs grow when they absorb moisture too. 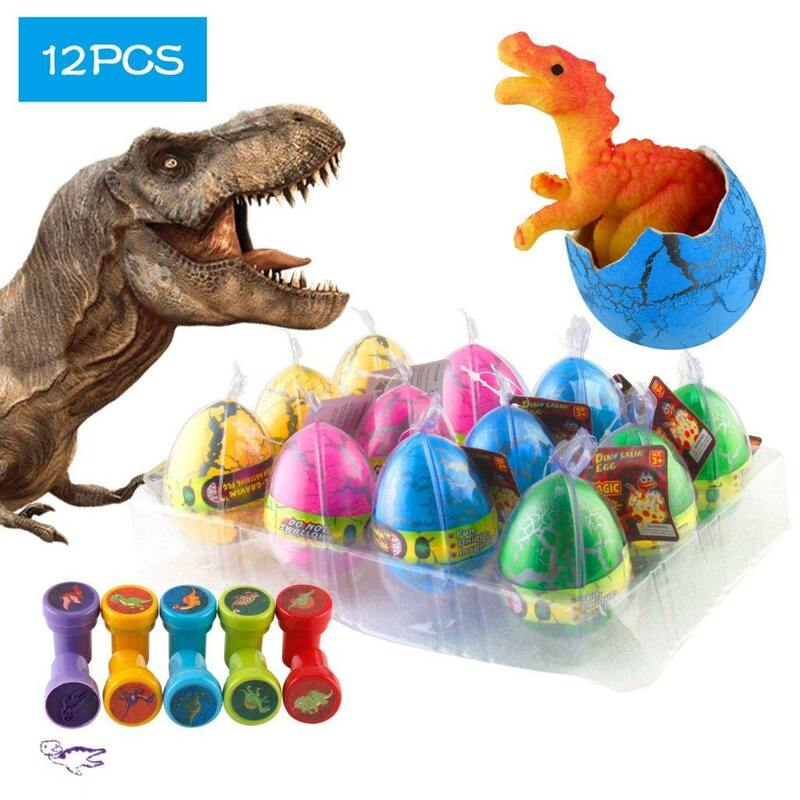 Hatching and watching the dinosaurs grow is the most fun part of this toy and it comes in a pack of 12, so the more the merrier. Each dinosaur egg is the size of a large Cadbury chocolate egg which is perfect for 8 year old boys that love these ancient creatures. The pack also includes 10 dinosaur stamps for kids to play with later on when they are coloring or drawing. When each dinosaur is grown they become great toys made out of safe material for kids of all ages. One of the latest toy trends is galaxy slime eggs for 5 year olds and above. Crack open the transparent egg shell and out comes the gooey, soft and shimmery slime to play with. 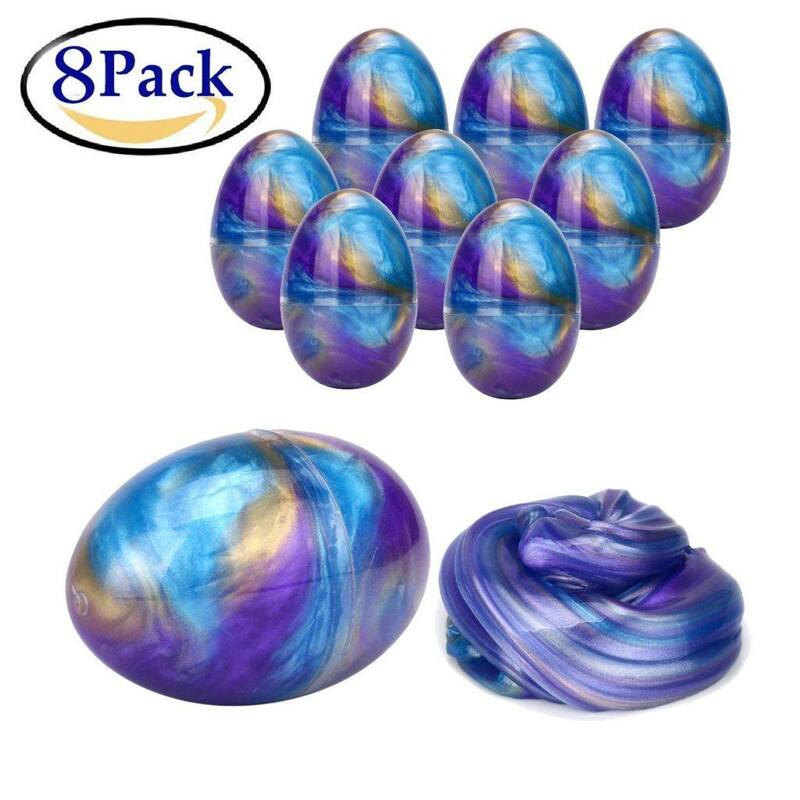 This 8 egg pack of fluffy slime is great for personalized Easter baskets and could be hidden around the garden for Easter egg hunt. This slime toy is also a great stress reliever for kids and adults. Parents can relax as this slime is made out of completely natural resign which is environmentally friendly and nontoxic to people. Kids are going to love this galaxy slime since it is very lightweight and soft to touch. Slime is great for kids because it can be used as a mold to make different shapes and forms and that exercises children’s hand coordination, develops creativity and imagination. Great thing about this kids toy is that it does not stick to the hands, clothes, furniture and is really easily cleaned off of surfaces. Also, if you want to soften the galaxy slime, a great idea is to put it into hot water for a little while. 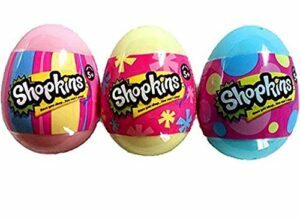 If your little girl is obsessed with Shopkins you can get her these Easter surprise eggs. This is a set of three eggs – pink yellow and blue, which each has 2 Shopkins Season 4 figurines. If you are not familiar with Schopkins, they are tiny collectible toys that are based on the appearance of grocery store objects but each have a cute expressive face. Your 5 year old will love the anticipation of finding out which toy he or she will get from the surprise eggs. This a great choice for an Easter gift for a 5 year old or older. We recommend including the Shopkins eggs into easter egg hunt, but make it a hard to find, special prize. Have you ever wondered how bunny farts smell like? Crack open this funny bunny toot bag for some Easter morning laughs with your children. 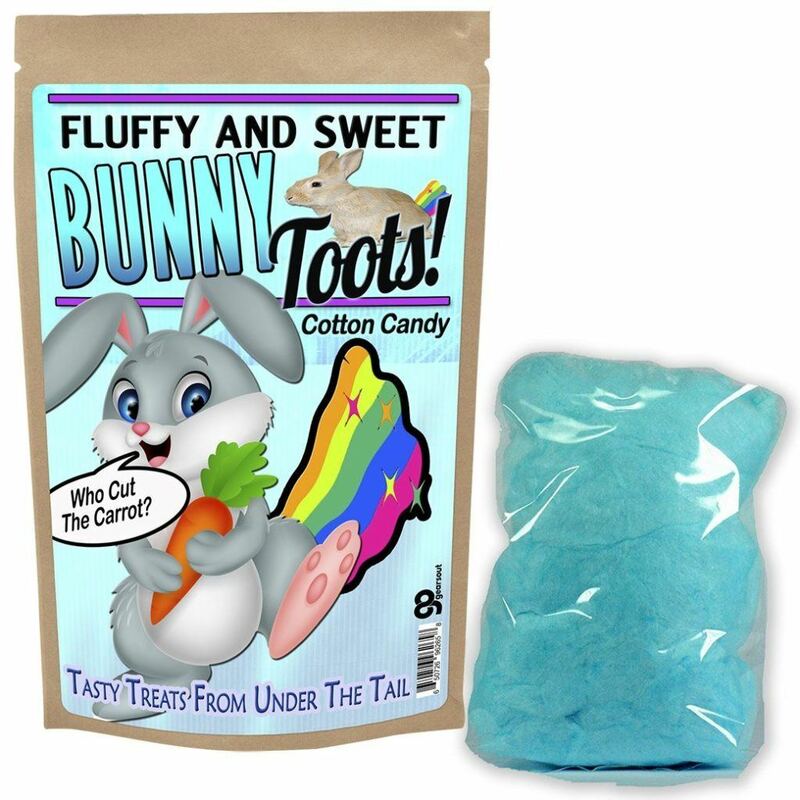 This funny kids treat contains sweet fluffy blue cotton candy and can be great for Easter gifts baskets. We recommend this for any kids, teen or adults who will laugh at the fact that they are tasting farts of a bunny rabbit. The manufacturers recommend this for 8 year olds or above but if you want to treat your 6 year old we won’t tell anyone! It is a unique American made gift which comes if tightly sealed bag to keep the rabbit farts in! A fully packed Easter basket for little girls that love pink Disney princess themed toys. Some of the items included in the gift basket are glittery butterflies soft plush bunny, lots of gummy candy, 3 ice cream cone markers, jump rope and much more. Any little girl will be surprised and delighted by such an amazing and full to the brim Easter gift. We have to warn you that your little daughter will be occupied with all of the Easter gifts all day – playing , coloring, drawing. We would recommend this Easter gift basket to any 6 year old princess that will appreciate the accessories, crafts and sweet treats! 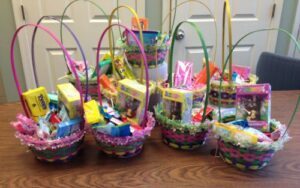 If you are hosting a big Easter party these Christian Themed Party favors would be great for giveaways and competition prizes. 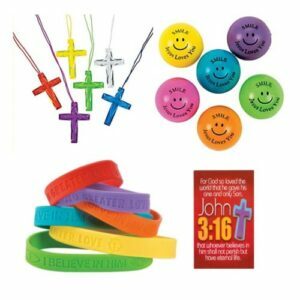 This big set includes 48 cross necklaces, bouncing balls and soft colorful bracelets with a Christian message. 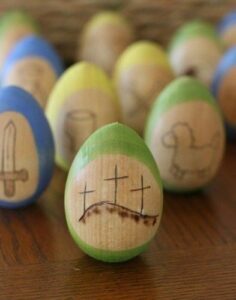 We recommend this Christian Easter party favors as it will provoke kids to ask a lot of questions on religion. Kids will be able to wear these Christian accessories to bible study and Sunday school and be the center of attention. These small Easter gifts are a great way to start a dialogue between kind and parents about the importance of faith in everyday life. Another unique Easter gift for girls and boys. Amazing colorful bath bomb surprises will make your kids excited about bath time! These bath bombs come in 6 different color and could be a great choice for an addition to Easter gifts basket. Each bath bomb colors the bath with vibrant colors and once it all bubbled and fizzed out, you get a cute little surprise. Don’t worry it does not stain the bath! Each kids bath bomb is very pleasantly fragranced and will be a big hit with your little mermaid. Children get really excited to get into the bath to try this and fin out what the surprise is, so you will not need to force to take them another bath for a long time. You can never go wrong with getting a big box of snacks for any 14 year old for Easter. Children over the age of 10 slowly become less interested in the childish Easter games but they still love receiving gifts. This is a big 50 piece box filled with everyone favorites snacks and treats. One drawback is that it does not come in a nicely packaged gift basket, but it gives you the option to select which snacks you want to include in your own Easter basket for teens and wrap it nicely yourself. We recommend this big snack pack since you can distribute these 50 snacks to more than one gift and make many kids happy on an Easter day. Snacks range from bars, chips, candy and cookies and include a good selection of sweet and savory items for all ages. 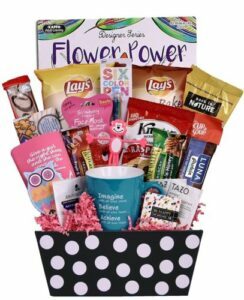 If you are looking to get a great gift basket for your 13 year old daughter for Easter Easter, you should definitely consider buying this polka dot basket with cute little items and snacks for girls. You will receive this Easter Hamper shrink wrapped and ties with a beautiful bow. The Easter bag includes a huge assortment of snacks and treats alongside an inspirational quote mug, designer series coloring book, all natural lip gloss, hydrating face mask, nail file and much more. A truly girly Easter gift for a girl that is becoming a teenager and wants a gift that will enhance her interests. Great Easter gifts don’t necessarily have to come with a trip to the dentist. This great health snack bundle is a great Easter present for any child, not just health conscious ones. 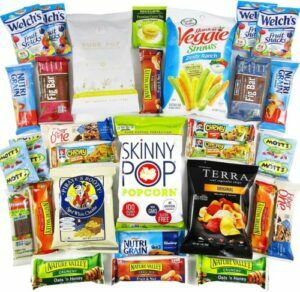 This cool bundle has veggie sticks, popcorn, granola bars, fruit snacks, and more, making it a very health but still delicious alternative to the chocolate and sugary snack bundles we’ve already looked at. 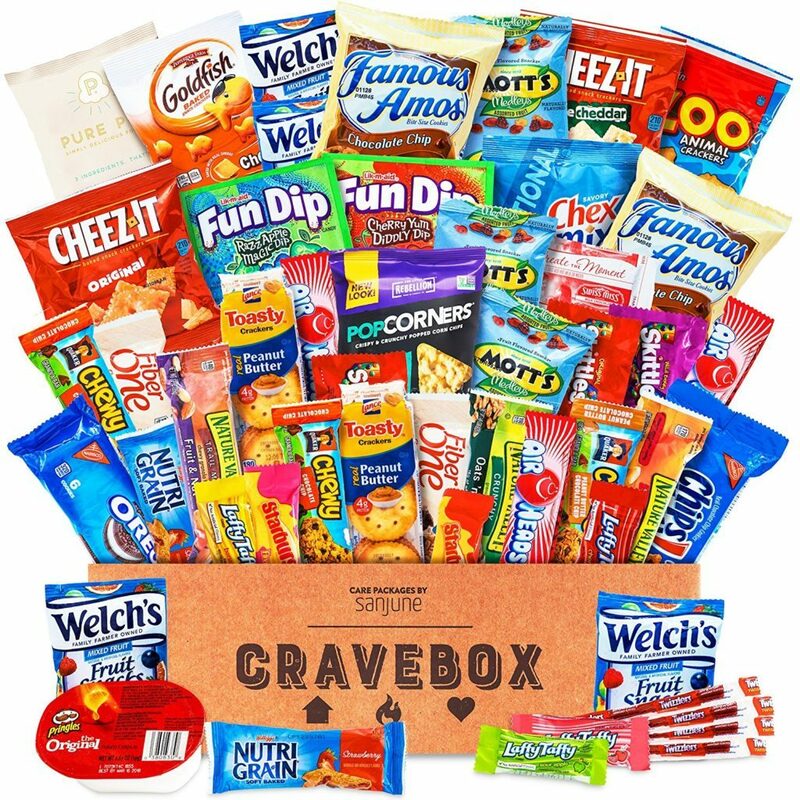 This awesome crave box would make a great present for college or high school students, as it’ll give them plenty of energy and nutrition as they cram in while preparing for exams. You might be thinking that we’ve lost our minds here. Bacon and chocolate don’t seem like they would go at all well together, but just wait until you get to try one of these. 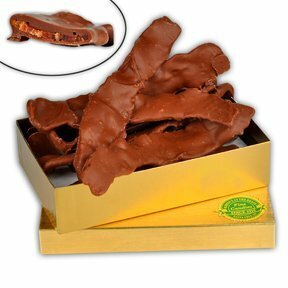 These delicious bacon slices dipped in Ghiredelli Chocolate are so good that they should come with a health warning on them. Teenagers will absolutely love these, and its a perfect Easter present for a 13 year old who keeps telling you that they are ‘too old’ for Easter eggs. We all know how much teens love watching Zombie movies or blasting them in video games. So why not get them a cool Zombie chocolate rabbit this Easter? These Zombie Peter Easter Rabbit are handcrafted with gourmet white chocolate by our very by Chocolate Artisans, so even the most cynical of teens won’t be able to help themselves from diving into this delicious chocolate treat. This Chocolate Zombie Bunny also comes beautifully wrapped in cello bag with a festive bow and a gift tag, so it is almost ready to be given as a gift as soon as it arrives. If your teens like shows like The Walking Dead, this is the Easter present for them! If your teens are anything like mine, you know how hard it is buying anything for them, as everything their parents buy is ‘lame’ and ‘uncool’. So sometimes you have to think a little out of the box in order to get something they’ll appreciate. So this wonderfully titled ‘Unicorn Barf’ might just be a brilliant gift for a 13 year old who is too cool for everything. 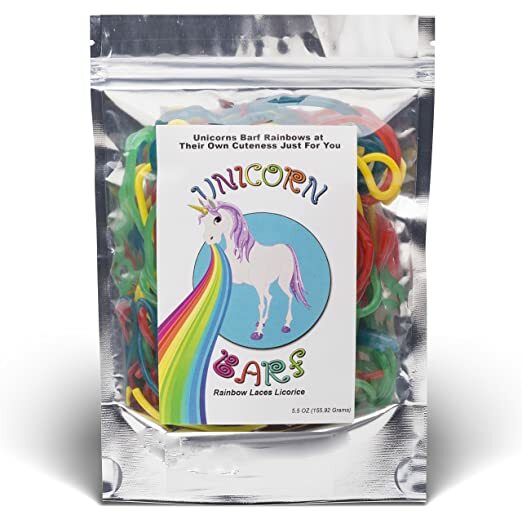 This delicious rainbow licorice really is very tongue in cheek, and at the very least, its going to get a few laughs out of everyone at the Easter party. Teenagers are often at a stage in their lives when they start to think seriously about their diet and their lifestyles. While it is wonderful that these youngsters are so conscious to the world around them and what they put in their bodies, it can make getting gifts for them a little tricky. If you have to buy an Easter present for a 13 year old vegan, this wonderful basket is just what they want. 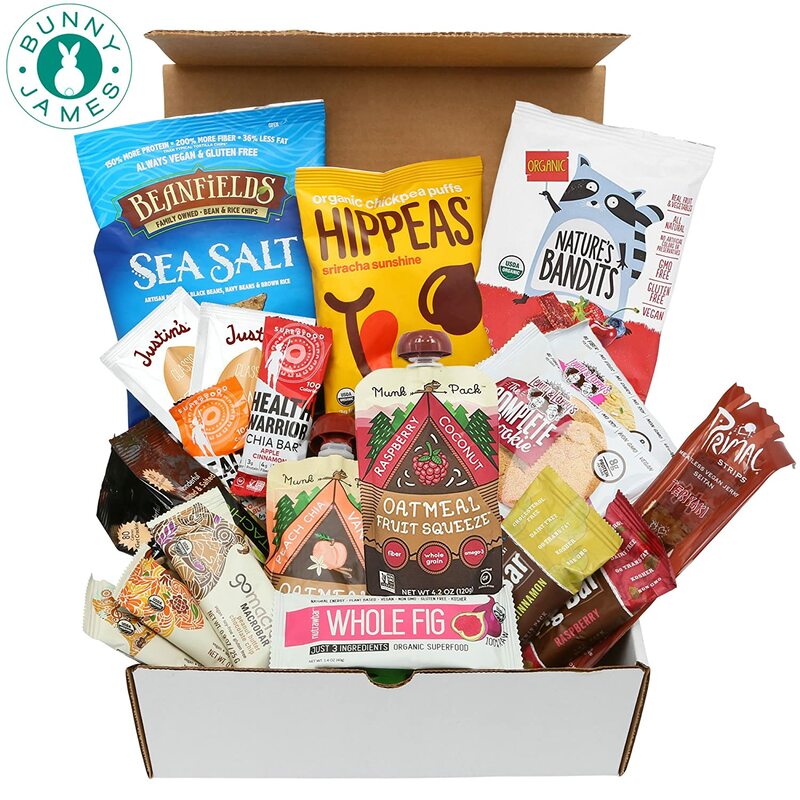 This cool vegan Easter bundle comes packed with 20 tasty vegan snacks including nuts, rice crackers, chia bar and special vegan cookies. Each bundle also comes in a beautiful hand crafted decorative box, so you won’t even have to gift wrap it! If you are hosting Easter this year, then you need to prepare gifts and activities for children of all ages. Here are our straight forward guide for choosing Easter eggs according to children’s ages. Easter offerings for little girls should reflect the theme of the season but also include cute cuddly stuffed animal bunnies, the most delicious treats and colorful toys. With most toddlers, you can get away with colorful interactive toys that require lots of gripping and touching. Toddlers toys are usually gender neutral as in only focuses on improving the childs development. We recommend good quality Easter themed toddler toys which can be colorful eggs that are soft to grip or eggs that make sounds and so on. Don’t worry about getting a perfect Easter gift for boys and any boy will love sweets and fun Easter themed toys. We love surprise eggs as they can be customized with any toys. 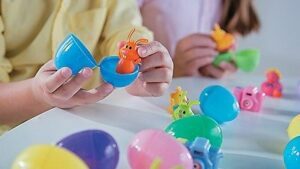 There are many surprise egg toys that have little cars, dinosaurs or Pokémons inside so boys would stay engaged in the Easter holiday festivities and be able to collect toys that they love. This is the perfect age when children will start begging for Easter candy and chocolates. Kinder Surprise eggs have children by their string and you are gonna be buying them by the dozen. This is a perfect age to start increasing the difficulty of Easter egg hunt by putting eggs in difficult to find places or making the clues much harder to figure out. It is always going to be a bit of a task finding something for this age group, as they can be a bit tricky to find gifts for. They need something a bit more complicated that what a younger kid would want, but they are not quite ready for the gifts that teens will want. All kids still love chocolate, no matter what age they are, so this might be a good place to start. Kids that are older than 13 years old are developed humans and have their very specific likes and dislikes, so getting an nice gift becomes more complicated since it has to be very personalized to them. We recommend you try to find something that is related to their interests or life style. For example, if your teen is a vegan, yuou can get them a great vegan snack bundle. 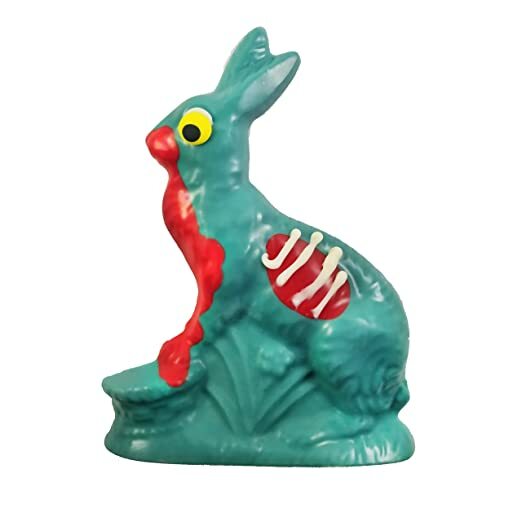 Or, if your teen loves zombie films, you can get them a chocolate zombie bunny.